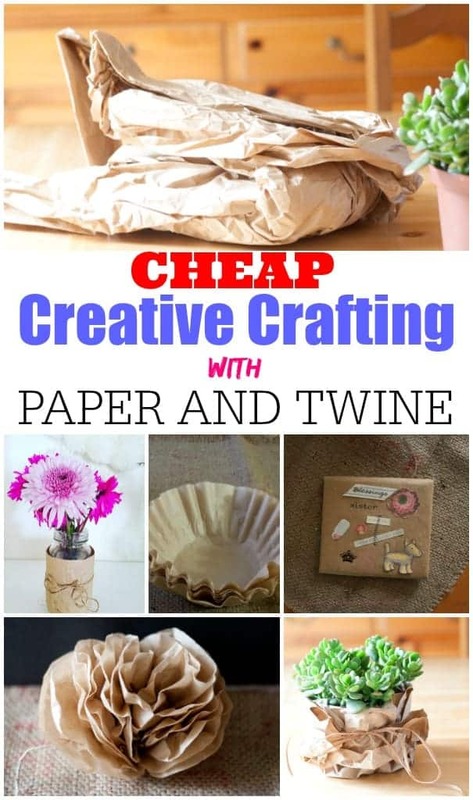 If you love to create with what you have on hand check out this post for ideas on how to use salvaged brown packing paper, coffee filters, and twine and then scroll down to check out the other Thrift Style Team posts for the month! When you order something online and the package arrives do you find yourself flattening out and folding the brown packing paper from the package? You do. So do I! I knew I wasn’t the only one. 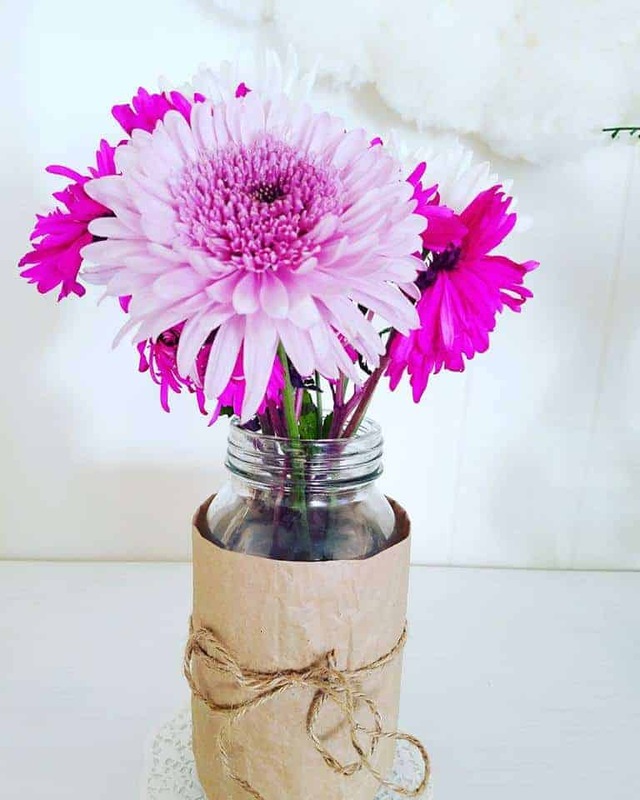 😉 Once I have a nice tidy pile of brown packing paper I start looking around for things to wrap…..
I’ve used it to wrap around mason jar vases (don’t forget the twine bow). I’ve also used it to wrap CDs and other small gifts. 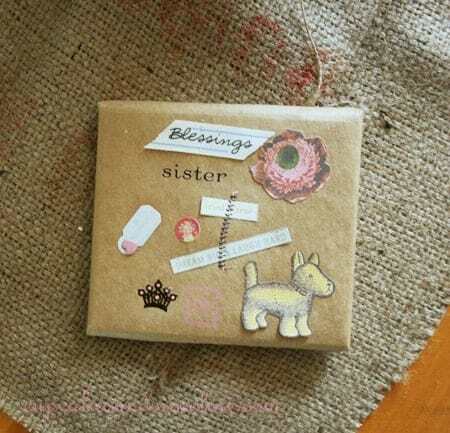 All you have to do is embellish the package with some cute little ephemera to personalize it. The possibilities are endless…and inexpensive! 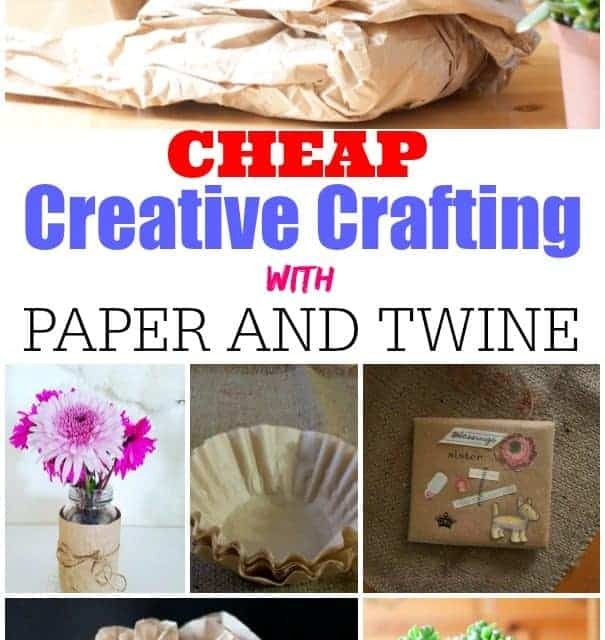 Now for this craft, I’m veering a little off the category of brown packing paper but I did use twine so I threw it in the mix – pom pom flowers made from coffee filters. These are so pretty, they’re easy to make, and they would be perfect for rustic weddings, to decorate packages and so many other things! 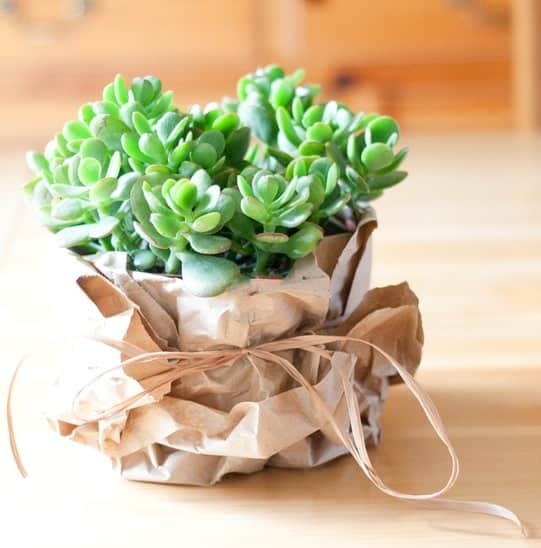 What crafty things have you done with packing paper or coffee filters? I’d love to hear about it. Now, for the rest of the lovely Thifty Style Team posts! 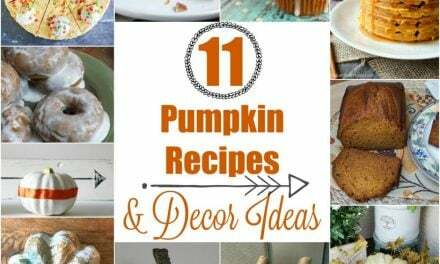 Be sure to check them out for inspiration.